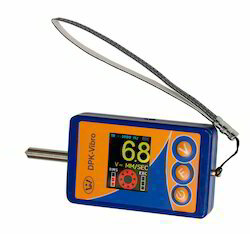 Wholesale Trader of a wide range of products which include vibration transmissibility measuring tool, 107bi vibrometer, c911 vibration analyzer, handheld vibration analyzer, 4 channel vibration analyzer and vibration data collector std-510 version 2.2. Vibration Transmissibility is an app that measures in real-time the percentage of vibrational energy that is being transmitted through a structure. It also plots the transmissibility curve of the system and indicates the operational point. This application requires the use of the VibePro Signal Adapter (DAQ box) and two accelerometers. FFT Vibrometer - 107Вi is a compact, IP65, handheld, microprocessor based vibration-measuring instrument designed to measure vibration parameters of the rotating machine according to ISO 10816, as well as other international standards which have been set on the same level - vibration acceleration, RMS vibration velocity, vibration displacement and Vibration spectrum analysis in FFT. It allows to measure the dynamic signals followed up by the record it into the non-volatile memory, as well overview and analyze the spectrum. 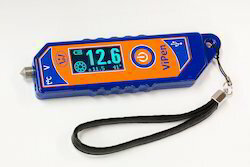 • Universal vibration meter that measurement of Velocity, Acceleration, Displacement. FFT spectrum up to 800 lines resolution. • Display of true RMS, peak acceleration, and Peak-to-Peak displacement values. • Frequency range 2Hz to 10kHz, HPF (high pass filter) 2 or 10Hz, LPF (low pass filter) – between 100Hz to 10kHz (step - 100Hz, 1kHz). • Rechargable battery save to trouble of battery replacement and money. • Automatic shut-off conserves battery power. • Save 2Mb measured data and print record via USB cable and data management with window base PC software. • Using the Shock Pulse technique, bearing condition tester measures the condition of all ball and roller bearings elements of any sizes. · Powered by a 800 MHz CPU for running the Windows CE system and the fastest commercially available DSP chip TI TMS320C6713B for performing signal analysis at extremely fast real-time rates. 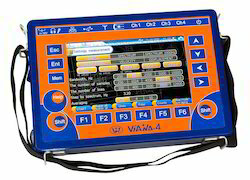 Impaq Elite is a portable 4 channel real-time analyzer that is built for advanced noise and vibration analysis in the field. Unique features like dual injection molding and protective sealing provide for IP 65 rating for measurement in harsh environments.Impaq Elite is equipped with a large 6.4 inch color VGA(640 x 480) high resolution touch screen.The combination of Microsoft’s powerful WinCE operating system and touch screen operation make it very easy and intuitive to use. 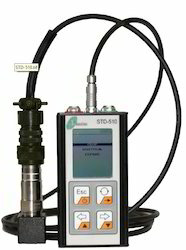 STD-510 Data Collector is used for monitoring and analysis of rotary machine conditions. Thanks to pocket size and light weight, functional and easy-to-operate design, STD-510 is an ideal tool for daily vibration monitoring of industrial equipment. 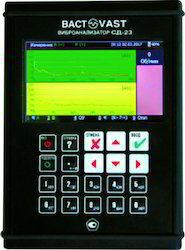 ZET 017-U8 dynamic signal analyzers allows to simultaneously run multiple programs of analysis and signal mapping. This enables to create various complexes for testing, process monitoring and control systems. The combined use of several programs allows to carry out tests in non-stationary modes. The portable vibration analyzers are used for vibration and acoustic measurements, continuous monitoring, machinery diagnostics, test equipment control, adjusting the process parameters, automating acceptance tests, etc. Different designs (laboratory, portable, industrial, submerged, etc.) and PC interfaces facilitate the use of dynamic signal analyzers in stationary, mobile, self-contained, industrial, distributed, and dynamic systems in various environmental conditions. 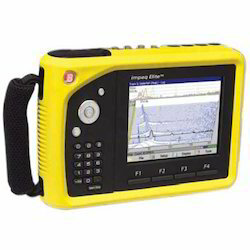 The MTN 5000 features a 3.5 inch TFT touchscreen with an easy-to-navigate menu that enables users to set data sampling periods, alarm threshold levels and delay times on a channel-by-channel basis or across all channels. The system will accept voltage or 4-20mA inputs and can be used to monitor many different types of sensor. AC outputs are available via door-mounted BNCs for easy analysis. Modbus and remote PC monitoring available as options. The TPI Model 9041 Ultra II represents the very latest in easy to use high specification maintenance tools, offering extremely high levels of functionality and capability at a very affordable price! As a high spec condition based monitoring (CBM) data collector and Dynamic 2 plane rotor balancer designed for plant and asset inspections, the Ultra II does it all. Displays sites, assets and measurements in a “tree” structure to give easy navigation of routes and capture of readings using touch screen and numeric keypad. 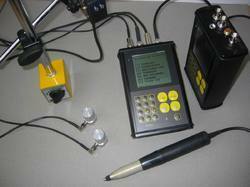 Analyses and displays ISO vibration levels, bearing wear, unbalance, misalignment, looseness etc. Color coded with alarm status (red, amber green). Built-in tool kit for trial weight calculation, weight splitter, drill depth (for weight removal), coast down etc. 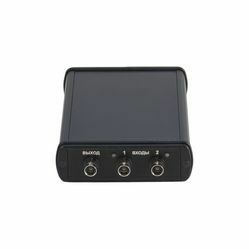 Noise Analyzer (SLM, RTA FFT)(optional)The Noise Analyzer module contains the essential features needed for a professional sound level meter and real-time spectrum analyzer. This module is included with the Mezzo Precision Microphone. Building Acoustics(optional)The Building Acoustics Module is the perfect tool for the noise specialist providing an integrated project file with on-site reports. The MEZZO 4-Channel Analyzer provides an innovative and cost-effective solution for noise and vibration analysis. More than just a DAQ system, the DSP embedded in each MEZZO 4-Channel Analyzer ensures real-time signal processing. 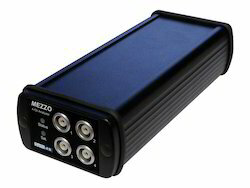 Designed to be used with a tablet PC or any other Windows-based PC, the MEZZO 4-Channel Analyzer benefits from the versatility and flexibility provided by computers. Noise Analyzer (SLM, RTA FFT)(included)The Noise Analyzer module contains the essential features needed for a professional sound level meter and real-time spectrum analyzer. This module is included with the Mezzo Precision Microphone. 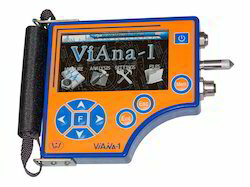 5th generation of vibration analyzers! DC-23 is a dual channel vibration analyzer of the new generation. 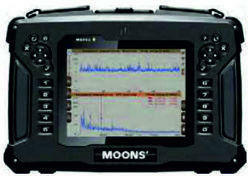 Main device feature – two-channel simultaneous and synchronized data collection. All measurement results are acquired from single time signal. This approach allows to cut down the measurement time by 3-6 times in comparison with previous generation vibration analyzers. Autodetection of sensor type and parameters. Work with any ICP sensors, proximitors, etc. ZET 017-U2 FFT spectrum analyser allows you to use several software programmes for signal analysis and displaying simultaneously. This allows you to establish various kits for measuring tests, technological processes control and monitoring. Joint application of several programmes enables performing tests in transient mode. ZET 017-U2 FFT spectrum analyser are used for vibration and acoustic measuring, constant monitoring, mechanisms diagnostics, test equipment control, technological processes parameters control, automation of inspection and acceptance tests as well as for other types of applications. Various hardware versions of spectrum analysers (portable, industrial, underwater, etc.) and PC connection interface allow you to use the Dynamic signal analyser in stationary, mobile, independent, industrial, distributed and dynamic systems in different environments. 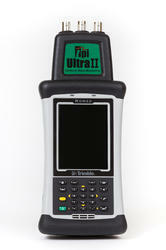 Vibration analyzer DC-21 - simple and reliable companion in your journey to vibration diagnostics. DC-21 has in its arsenal all necessary functions for vibration analysis of the following industrial equipment: pumps, ventilators, exhausters, turbines, compressor, electric motors. Small dimensions and weight (device itself weights only 0,8 kg), long operation period (no less than 8 hrs of work without charge), ability to work in harsh environments (IP65, temp. -20 - +50 C.), embedded software applications (run-up/coast down, shock, balancing, magnitophone) allows DC-21 to be an useful aid for everyday vibration measurement and diagnostics, as well as for vibration adjustment operations. It is a vibrometer, it can measure the vibration RMS value (as well as amplitude, peak-to-peak) and monitor the machine condition. It has got two vibration sensors, one of them is a built-in sensor for fast measurements, and the other is an external sensor for the hard to reach places. It has got an ultrasonic microphone and a temperature sensor for assessing the defects of roller bearings by different methods: the envelope spectrum, Kurtosis, SPM. It is cased in metal; it is a robust but compact and lightweight device which goes readily into the pocket. It has got a large memory capacity, is can store, display and download to PC thousands of measurements via USB. In it there is a function of measuring by the route. Make the equipment list on PC and carry out the measurements according to the list quickly and easily. It is charged via USB from PC or the power supply. One charge is enough for one working shift. In it there is a function of listening to the vibration (the headset is supplied together with the device) and recording the voice comments for the sake of recalling the details. VibePro EX builds upon the great foundation established by VibePro. The EX version includes all of the features found in VibePro plus some new ones only available in this version. The app was written to work with our brand new sensor that communicates with the iPad over Bluetooth. Accelerometer Features: The main components of the wireless sensor are an accelerometer, signal conditioning electronics, antialiasing low pass filter, analog-to-digital converter, processor section, power/wake-up control and a low power radio module. 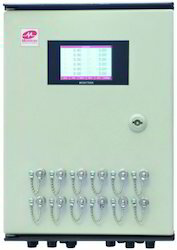 The field replaceable battery is contained in a sealed compartment and the device mounts, via a screw thread (magnet mount provided), directly onto the machine which it is monitoring. VibePro is a vibration analyzer application that collects and analyzes vibration signals to the iPad. The application can be used either for single readings or doing full vibration analysis routes. Route data can be post-processed directly in VibePro or in a myriad of apps available for other platforms including: Windows, Mac or through a web application that includes advanced algorithmic features. It is a simple compact, reliable and affordable system for all rotating equipment. It offers the benefits of data collection, signal analysis, balancing and dynamic precision laser shaft alignment on machinery with minimal waste of time and without stretching the budget. Proper alignment eliminates the leading cause of machine breakdown and pays for itself. Diminishes the cost of spare parts and production lost due to downtime. SA model makes quick, accurate shaft alignment a simple task for all new alignment users. The system is designed of way in use and user-friendly interface. It is manufacture for you to always know the condition of your equipment. The wireless supervisor machinery condition monitoring system uses wireless sensor and gateway devices to collect vibration and temperature. WS100 and WG100 are more often used in a large area application where is high density of common machine for achieving cost-effective instead of personal frequently check even overtime or prohibitively expensive wiring, or inaccessible environments exist. 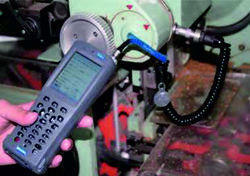 Furthermore, WS100 can be used as a flexible mobile application for temporary measurement. Just a few sensors combined with plug-play wireless dongle connected to a personal digital assistant device supported by working in order sampling mode. Users can then view collected data as spectra, waveform, machine trends, alarm events and statistics reports which will boost maintenance process. High resolution measurement, Moons’ simultaneous protocol, self-check result with battery capacity status and wireless signal status in every data acquisition cycle, provides an effective guarantee for data analysis. The Online Monitor plays an important role in the field of industrial monitoring, used a large number of cases, from the continuous steady-state operation of steam turbine, turbine and compressor to the various conditions of rolling mill, belt conveyor. Online monitoring system can continuously provide very short interval monitoring data in order to predict the sudden change of equipment state, provide 24x7 protection. With dedicated diagnosis system, it can give the analysis and suggestion for the equipment abnormal, guide the maintenance personnel to find root cause and make correction, reduce abnormal downtime and prolong service life of the equipment. MS1000 has 6 modules corresponding to different monitoring requirements, according to the distribution of field equipment, can be any combination. otherwise main control module is used to dispatch acquisition task, generate reliable alarm and transmit raw data and alarm events to the web architecture software system, so that users can quickly analyze and respond. With the process state signal entry from the automation system, it can realize the accurate condition collection, and support the diagnosis of various working conditions. 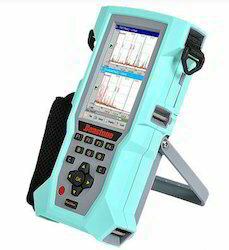 Multiple channel vibration analyzer is usually defined as a high-end handheld product to be developed because it is an important part of your predictive field diagnostic system, MS502 is that kind of product. 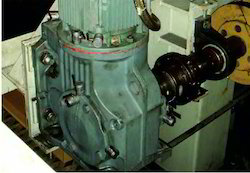 It is performing condition monitoring data collection, analysis, and root cause correction in rotating equipment applications such as motors, fans, pumps, gear boxes and others, not only for common defection analysis but also often used to deal with complicated critical issue which is corresponding to mechanical structure, basement structure, material rigidity and production process control rationality so on. 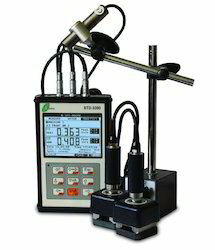 Two simultaneous vibration channels as well one RPM channel make MS502 to implement comprehensive measurement capability, more dedicated analysis functions such as 2 plane dynamic balancing, orbit plot, cross-channel correlation and phase, long period measuring, also ease of use make it a powerful condition monitoring tool. MOONS' handheld Vibration Inspector is an application in the industrial field, mainly to meet the rotating machine needs to realize state data of acquisition, recording, storage, query, analysis, summary. The vibration inspection result shows the mechanical parts loss of equipment, such as axis, bearing and gear etc. It helps to make the appropriate equipment maintenance measures, and ensure the good work of the equipment. It permits easy monitoring of key machine normally found in power generation, petrochemical, coal, metallurgy, tobacco and automobile industries. With Inspection Software can achieve routine and off routine inspecting; User can create and modify routes in a hierarchical form, define measuring points, types and schedules include specific instructions for operators. Routine collection of vibration data during inspection rounds makes data of critical machines available on a regular basis, and improving personnel on reasonable arrangement of working time. 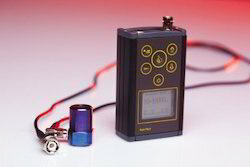 Looking for Vibration Analyzer ?